There are a few new reports on the economy worth mentioning this morning. 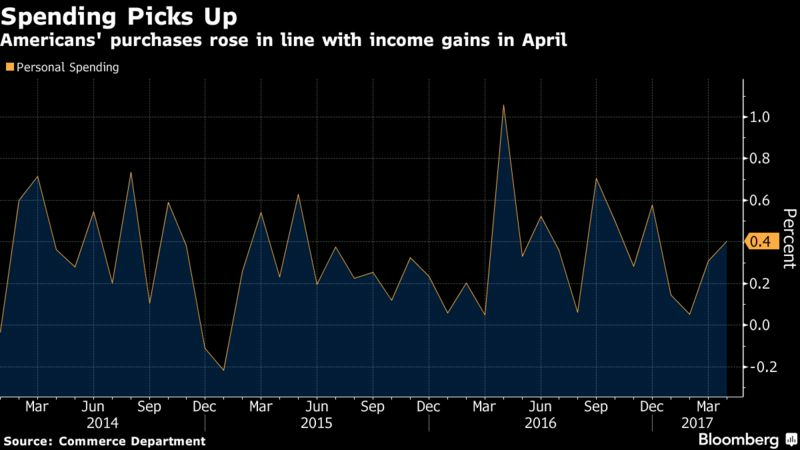 First, data from the U.S. Department of Commerce showed that personal income for Americans rose by 0.4 percent in April, in line with economists’ expectations and the first monthly increase since January. Similarly, consumer spending, which accounts for roughly two-thirds of the economy (GDP), lifted by 0.4 percent last month, the largest gain since December. 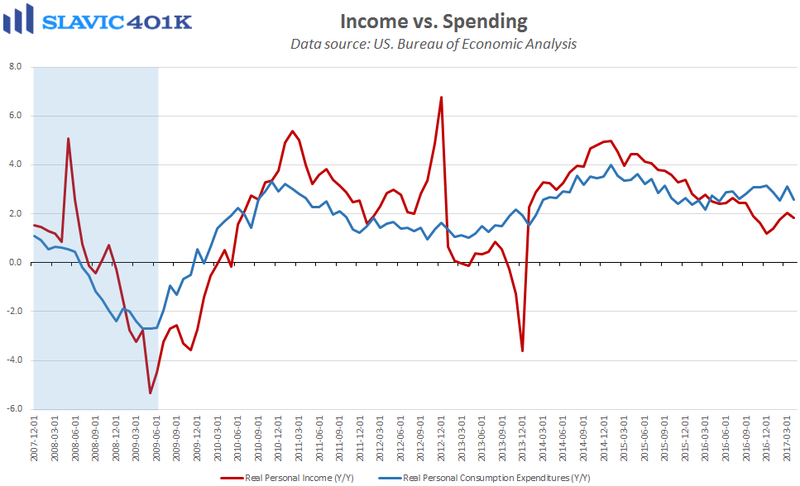 Although year-over-year growth for both income and spending softened in April, last month’s solid gains suggest that the U.S. consumer is on track for a second-quarter comeback. That bodes well for Q2 GDP growth and would be supportive of additional interest rate hikes by the Federal Reserve (Fed) later this year. 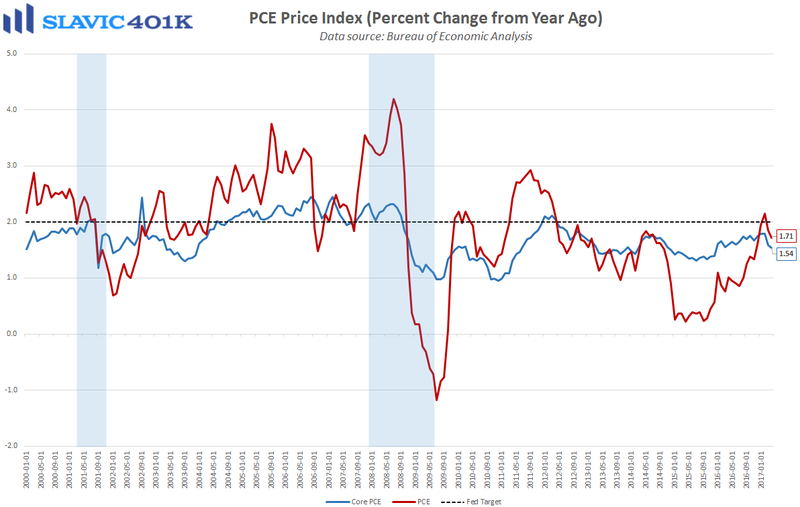 However, the personal consumption expenditures (PCE) price indices included in this monthly report declined in April to 2017 lows, on a year-over-year basis. Since those are the Fed’s preferred measures of consumer inflation in America, it is still possible for officials to justify moving more gradually with monetary policy adjustments if needed. 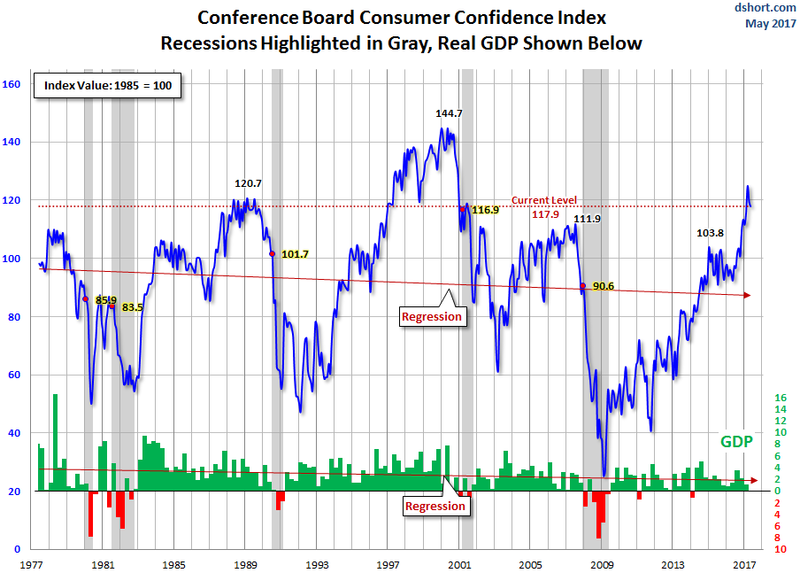 Next, the consumer confidence index from The Conference Board fell to 117.9 in May, worse than anticipated and the prior month’s reading was revised slightly lower. Under the hood, surveyed Americans’ general appraisals of current economic conditions improved this month while outlooks on the future deteriorated. More importantly, all of the sentiment gauges remain near the best levels of the current business cycle and still suggest that there could be an uptick in real (inflation-adjusted) consumer spending this year. Also of note is that in the last two months, confidence among the lowest income consumers has held up better than any other income group. Moreover, 18.6 percent of surveyed Americans said that they expect jobs to be more plentiful in the months ahead, and 19.2 percent anticipate higher wages. 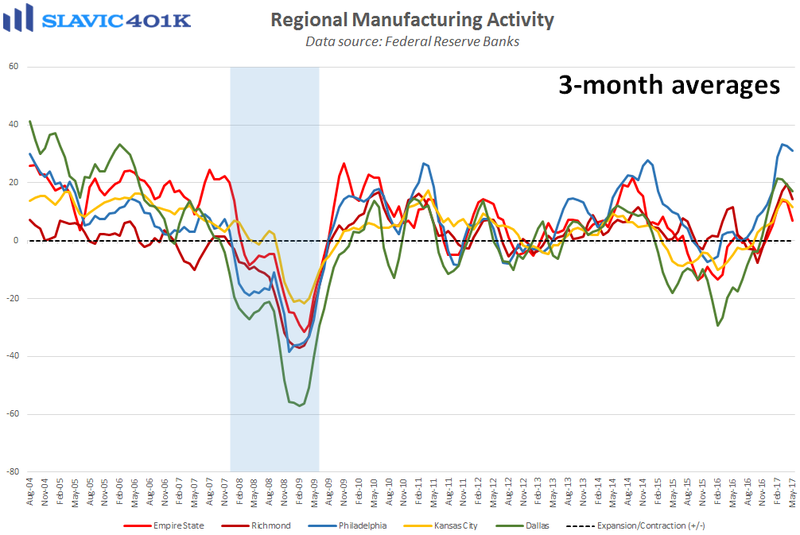 Elsewhere, a report from the Federal Reserve Bank of Dallas showed that business activity in the southern region of the country accelerated this month. 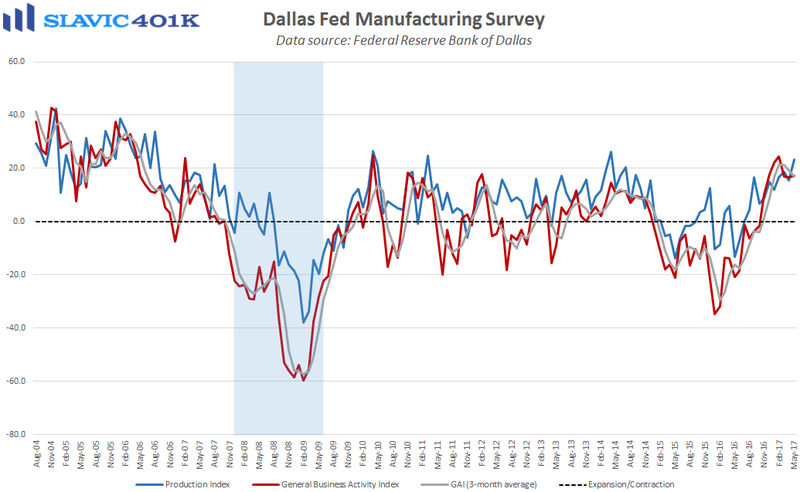 Specifically, the general activity index rose from +16.8 to +17.2 in May, much better than expected and the strongest headline reading since the 7-year high hit in February. Under the hood, measures of production, capacity utilization, new orders, shipments, wages, hours worked, and capital expenditures all improved this month but total employment fell slightly. Comments from surveyed manufacturers were generally positive this month in the 11th Fed District.